Jaewook commenced with a too slow pace. Sessions passed and there was almost no advantage. During our class he used to play with me and with his toys rather than playing his fiddle. He showed some kind of over active behavior. Not listening to me, sometimes he lied down and tried to sleep and sometimes jumped up and down on his bed. I knew that the first one in charge is me and I have to find the right solution to this problem. But nothing worked actually! Neither coping with his naughty attitude, and taking it easy with a synthetic smile on my face, nor turning to be too serious and frown. 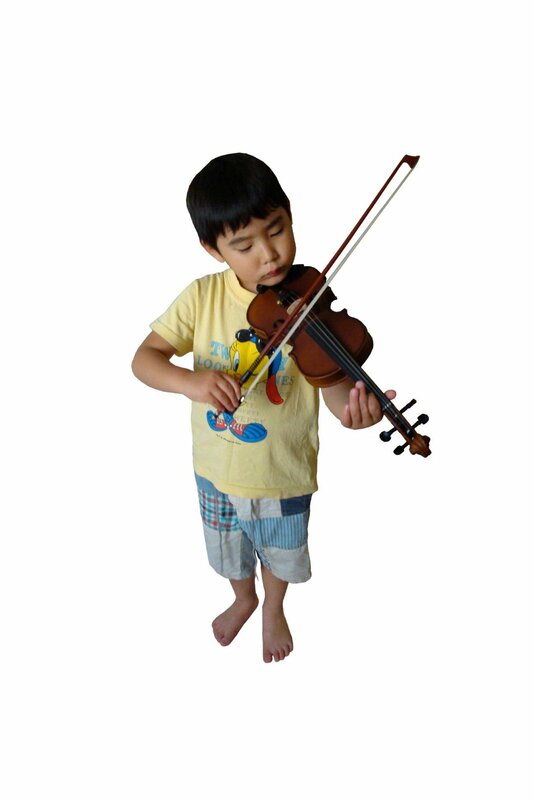 I even offered him rewards when he did his job well a little -like when he held his violin correctly on his shoulder- or I quit the class too soon once to show my dissatisfaction and to leave him to his parents. Many so called "teachers" believe that music is inherited genetically and suggest that a teacher has to quit instructing a pupil when he/she does not show any sign of inborn talent. But I don't believe in such a prejudiced, disappointing idea and I know that if a person can't learn something everyone and everything would be responsible except the learner him/herself. Once Jaewook's mother suggested that we change his class time for that time has been his daily nap time for a long time. The problem was solved at once! Since that day-on which we decided to change our class time to a better one- Jaewook has been a totally different person. And this month his progress has been sparkling. Here I’d like to express my gratitude to Jaewook’s thoughtful mother for all she’s done to help me and her son. Bravo and good luck to you two! That was a great solution, Ammar! How old is Jaewook? I have had some challenges teaching very young kids and asked their parents to bring them back in 6 months when they're developmentally ready to focus on something for 5 - 10 minutes...but this is a novel idea and makes sense....I'll have to try it with my next batch of little kids! Thanks to you all for you read and thought over my entry. This will encourage me to publish other posts in future. Jaewook is almost five. Actually I spend my whole day teaching young children. However Jaewook is not my youngest student. I've had a two years old pupil experience too. Again thank you.